MHIMA is grateful for the generous support of our Corporate Members. Please visit their websites for more information on their products and services. Davenport is emerging as a globally-renowned university. We are recognized for our strength in understanding the market better than other colleges and universities. We develop knowledgeable, capable leaders, with programs tailored to meet today's business demands. In short, we equip you to exceed employer expectations, transform communities and impact your world. Dolbey's award winning healthcare suite of solutions improve productivity while delivering better documentation which improve patient care. Since 1914, Dolbey has consistently evolved our products incorporating the latest technologies available to meet the demands of the healthcare community. Today, our suite of products include Speech Recognition (premise or cloud), CAPD, CDI, CAC, Transcription and Dictation. Since our beginnings in 1992 as a speech and document systems integrator, Great Lakes Informatics has grown to become a leader in specialized HIM services and applications. We empower providers with healthcare applications that improve patient services, operations, security, and revenue capture. We are proud to be a MHIMA Corporate Sponsor. Please engage us! Mindseeker offers comprehensive outsourcing solutions designed to service healthcare organizations regardless of medical specialty, location, or size. With constant changes affecting the global healthcare industry, our clients depend on us to deliver effective health information management (HIM) and revenue cycle management (RCM) services. Our clients include academic medical centers, hospitals, health systems, and physician groups across multiple specialties. MRO, the KLAS-rated #1 provider of release of information (ROI) solutions since 2013, empowers healthcare organizations with proven, enterprise-wide solutions for the secure, compliant and efficient exchange of protected health information (PHI). In addition to ROI, MRO’s suite of PHI disclosure management solutions is comprised of government and commercial payer audit management and accounting of disclosures services and technologies. MRO’s technology-driven services reduce the risk of improper disclosure of PHI, ensure unmatched accuracy and enhance turnaround times. Record Connect, Inc. was established to provide a refreshing alternative to healthcare facilities in an ever consolidating landscape of Release of Information and records management service providers. It is our goal to serve with a high level of client service, consultative account management, frequent client communication and technology tools that assist in efficiently administering the highest of quality and accurate Release of Information processing and records management services throughout a healthcare enterprise. RecordConnect is not your typical vendor. We seek true client partnerships to advance service standards and enable the use of smart technology tools that are operated by the very best teams of talented individuals. TLM Consulting provides temporary coding services, medical record auditing services and interim HIM department support. 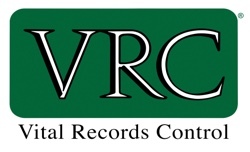 Vital Records Control, also known as VRC, has been providing record storage services to our loyal customers since 1981. VRC is truly dedicated to exceptional customer service. Our 1200+ customers rely on VRC as their partner for current and future information management needs. VRC began as an offsite-storage facility. To meet the growing demands of our customers, VRC now provides secure vault storage, scanning, shredding, electronic record management solutions, online backup and recovery, hosted services, digital preservation, document restoration, and record management consulting for customers in all industries. To ensure the best customer service and secure handling of customer information, VRC is PRISM Privacy+ certified (includes a SSAE 16 independent audit report), and NAID certified at each of our shredding locations.